Our hair is very important in how we identify ourselves, and affects our self-confidence. If it’s not looking its best, it can bring down our self-image. If you are dealing with greasy hair, you may have tried various shampoos, but haven’t quite worked. We have all of the best shampoos for oily hair that are sure to boost your confidence and your volume! Now that you’ve taken a quick look at each of the best shampoos for oily hair, you may want to know more about a few of them. Scroll down a bit further, and you’ll find in-depth reviews about each of these! 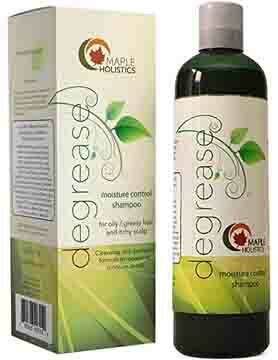 The Degrease Shampoo by Maple Holistics is a wonderful way to get rid of excess oil from the scalp and hair, as well as address issues of dry hair, itchiness, and even dandruff. The combination of ingredients are all safe and gently enough to use, even if you have sensitive or ultra-dry skin. It also works to help balance the oil secretions in the body, making sure not to strip the hair of all oils while also cleansing thoroughly. 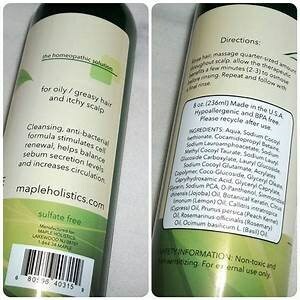 It’s free of sulfates, keeping consistent with the natural, healthy products that Maple Holistics is known to produce. The sulfate-free shampoo is pretty inexpensive, and the brand is well-known to produce high-quality products, so we had to give it a try. It smells nice; not overwhelming by any means. More of a natural, citrusy smell. Lemon Oil works to regulate oil production, while Basil Oil helps to reduce dandruff by hydrating the scalp just enough. Hair growth is also stimulated, so after about a week you should start to see a difference. Just after the first wash, we noticed our hair felt more hydrated, without feeling oily and heavy. In fact, we noticed a significant “lightness” to our hair, and noticed an increase in body and volume. Provitamin B5 and Keratin strengthen each strand, so you’re less likely to have to deal with breaking and splitting. With that being said, it is powerful in its cleansing abilities, while still being gentle. It is safe for daily use, however, it typically works best if only used every other day, or possibly even twice weekly if that schedule works better for your tresses. For those who don’t want a ton of chemicals in their hair, this is a great option. It’s a very pleasant, light, natural scent, which is purely just a result of the ingredients. That means no artificial fragrances or overwhelming scents. The shampoo for oily hair is a bit expensive in comparison to many other products that are similar in quality. However, we feel that it’s pretty worth it. The Biotin Thickening Shampoo is, as you may have guessed it, a shampoo that’s not only meant to treat oily hair, but to also thicken it. Hair loss doesn’t just happen to men. If you’re experiencing hair loss, there are options! Unfortunately, having greasy hair can make regrowing hair difficult, as clogging can often happen. This is one of the best shampoos for oily thin hair for many reasons. The B-Complex formula works to treat thinning hair, while botanical Rosemary, Aloe Vera, Saw Palmetto, and coconut help to regrow it. The shampoo is also sulfate-free, which is just all-around better for you. 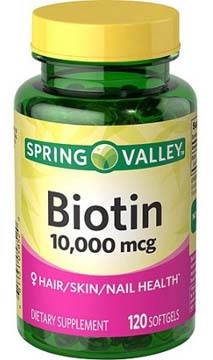 Of course, Biotin greatly helps with the growing and thickening of hair. It blocks DHT, which can also be a common cause of hair loss, so it helps to treat multiple sources of hair loss or thinning. It is gentle enough to be used on color-treated or damaged hair. The vast majority of what the brand claims, we found to be pretty accurate. The only thing that we felt wasn’t quite consistent, was the fact that it was safe for color-treated hair. It is safe in that it’s not going to weaken the hair shaft or encourage breakage, but the issue lies in that we noticed it can tend to fade hair color (although this didn’t happen with everyone). We did notice, however, that after just a couple washes, the hair felt thicker and more voluminous. The hair also felt much softer and more manageable. The scalp immediately felt smoother without any oiliness to speak of. It also works well for sensitive skin and scalps due to the vitamin E inclusion. Oh, and it’s also cruelty-free! Head and Shoulders is probably the most well-known shampoo on the market today for helping regulate oil, and dandruff. Not only today, but for decades. The Head and Shoulders Instant Oil Control is a prime example why the brand has been so successful. The anti-dandruff shampoo works to control oil on the hair and scalp for a thorough clean that will make you feel rejuvenated. The clinically-proven shampoo for dandruff is pH-balanced and perfect for everyday use, should you choose. Despite it being such a high-quality product, it’s probably the least-expensive product of its kind today, and we couldn’t pass up mentioning it here! We’re not going that this is absolutely the best shampoo for oily hair out there for everyone. However, it works well, it’s available at most drugstores and other readily-available locations, and is very inexpensive. Despite this, it does work to manage dandruff and oil well for many people. The consistency of the product isn’t runny, nor thick. It’s pretty average for a shampoo. It does lather well, which feels nice, but the downside to that is that it does include parabens and other chemicals that can frankly be rough on the hair and scalp. Aside from the inexpensiveness, the other trait we loved the most about this dandruff shampoo, was that it got rid of dandruff just after one use. It proved to clean the hair well, while making sure it wasn’t completely dried out. Are you in the market for one of the best natural shampoos for oily hair? We understand how difficult it can be to find one that isn’t packed full of chemicals, that actually works. 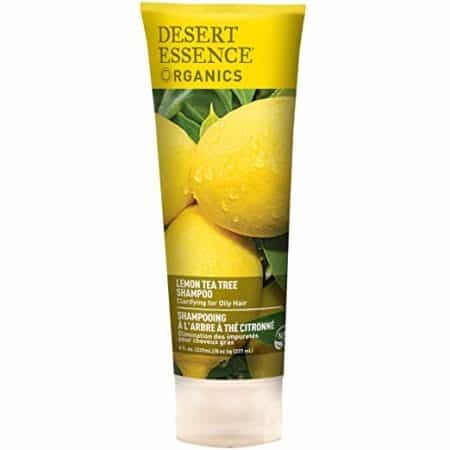 However, we have found the one in the form of Desert Essence Organics Hair Care Shampoo (Lemon Tea Tree). The shampoo works with just about any hair type or style: fine, thick, long, short, and curly, it doesn’t matter. It will work great if you’re trying to get rid of excess oil and improve the amount of volume and thickness of your locks. The shampoo contains a variety of natural ingredients, and they’re all there for various purposes. Lemon Tea Tree Oil and Lemon Peel Extract work to thoroughly cleans, as well as loosen and dissolve excess oil. Maca Root Extract helps to strengthen the hair strands, as well as protect them from potential damage. 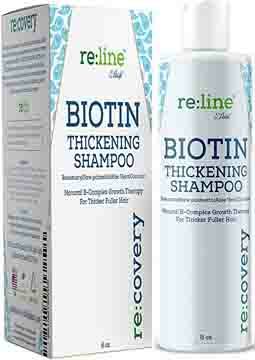 Biotin works to boost hair growth like crazy, and keratin also helps to strengthen hair to prevent any breakage. We have to say that while we reviewed a ton of amazing shampoos on here, this herbal anti dandruff shampoo was our clear favorite. First of all, it’s very budget-friendly. Not only is the price tag low, but the product lasts forever, as you only need a tiny bit to really thoroughly clean your whole head of hair. We were truly surprised at how good of a product it was, considering the fact that it didn’t have any harsh chemicals, and was so affordable. After just one wash, our hair felt and looked renewed. It’s like the grease and dandruff were never even there in the first place. Talk about volume and softness! 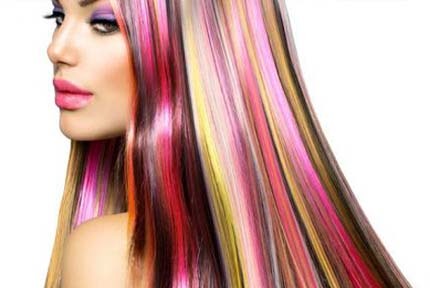 The mild formula also makes sure to not strip hair color, which unfortunately, tends to happen with many other shampoos. If you have sensitive skin, you’ll love this one, too. It is known not to cause any itching or irritation, and if we go by our experiences, we’d have to agree. It doesn’t have any artificial fragrances. Instead, it smells like the Lemon Tea Tree Oil, which is light and refreshing. That it may not be strong enough for some people with very severe dandruff. Other than that, it’s absolutely one of the best shampoos for oily hair with dandruff. Most of us have heard of have even used Neutrogena’s products before. 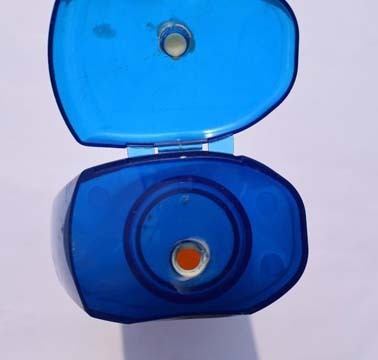 We have come to know their products as reliable, good-quality, and generally pretty affordable. This shampoo is specifically designed to only be used once a week to help really help clean out heavy residue/build-up which is often caused by your typical shampoos, conditioners, and styling products. The shampoo is easy-to-use, but very cleansing without having to really work it in. The product is made to work well with any hair type; including color-treated and thin hair. However, the most noticeable results came from hair that was thin and oily. Not only does it make hair look more voluminous; it only helps treat very dry and over-processed hair and make it soft and manageable. 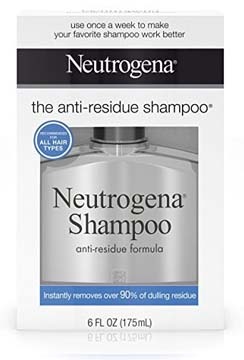 So, what did we think of the Neutrogena Anti Residue Shampoo? We felt that pretty much every claim the brand made was true about this product. The only real complaint we had, was that because it really does dissolve almost all residue and build-up, that it can dry some consumers’ hair out. The upside to this, is that as there was no longer residue, that the volume and perceived thickness of the hair increased, making it look ultra-healthy and freshly renewed. Another thing we really appreciated was the fact that it is dermatologist-tested and approved, as are the rest of their products. This helps us to have some faith in the product, even before the first use. 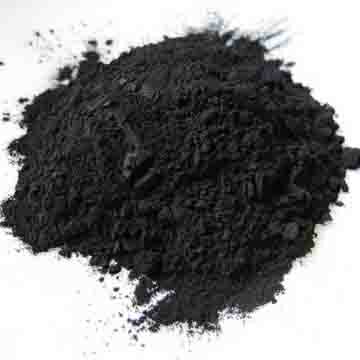 You may have heard of a little something called “activated charcoal”, recently. It’s popped up in just about everything, too! Ice cream cones, face scrubs, and now shampoos. The Botanic Hearth Activated Charcoal Hair Shampoo is paraben-free, sulfate-free, and made in the US. As it is free of sulfates, it’s nice and gentle, even on damaged hair, and can be used daily, if you so choose. The formula contains a variety of natural oils, such as Argan Oil, Avocado Oil, Jojoba Oil, and Camellia Seed Oil. They each have slightly different functions, but generally speaking, all work to repair the hair, protect it, strengthen, and hydrate it. The shampoo was definitely the most unique one we’ve used, and the good news is that it wasn’t just a gimmick. While it wasn’t the absolute best shampoo for oily hair, it definitely was one of the best. The smell was very herbal. We enjoyed it, personally, but we can see it being a bit too much for some other people. It all just comes down to personal preference. It was also very mild, which made it great for daily use without the risk of stripping hair color or drying it out excessively. We also loved the fact that it was free of parabens and sulfates. That means you’re not damaging your hair! Really, there was only one: the price. We did feel it was a bit expensive In comparison with so many similar products. Now that you’ve had the chance to take a look at all of the best shampoos for oily hair, you may still have some questions about which of the products you should choose and why. Not to worry! We’ve taken it upon ourselves to create the buying guide, below. The guide will aid you in your search for the perfect shampoo for dandruff and/or oily hair. Make sure to go through each category! It’s important to consider your hair type when purchasing any product for your hair. This includes conditioners, hair styling products, and of course, the best shampoos for oily hair. Even if you don’t have very oily ends, you’ll want a shampoo that can clarify and cleanse the air without completely drying it out. Some shampoos do this, where they try to get rid of the oil just by completely drying everything out. This typically makes the pH go into an imbalanced state, and can also cause even more dandruff due to the increased dryness of the scalp. Sometimes we don’t notice it if we’ve used the same hair products for a while, but we smell our hair all throughout the day. If you don’t like the scent of your shampoo, then you’re not only going to be satisfied, but it can even cause you to have headaches! Many of the products on our list are all-natural ones, so there are no artificial fragrances that are oftentimes overwhelming. Think about before you start shopping, how much you want to spend on your new shampoo for oily hair. Make sure you establish this price and don’t waiver from it. 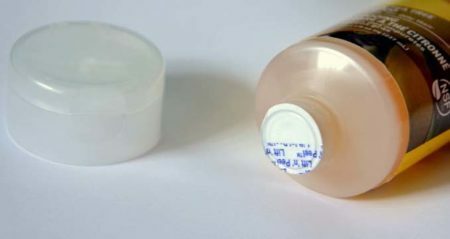 Many times, however, a shampoo may be priced higher than a similar product, but actually will last you much longer. There are plenty of examples on our list that prove this. Only a dime-sized amount is needed with some of the best shampoos, so while they may look more expensive, they can even be less-expensive than the lower-quality ones. When purchasing one of the best shampoos for oily hair, it’s not only important to consider your hair type, but your skin type, as well. Shampoo, as we all know, doesn’t just stay on our tresses. It can get on our face, but more so, our scalp. You definitely don’t want to have an adverse reaction to the shampoo you’re using. It can cause drying, breakouts, and even worse, sometimes. Drying can cause even more dandruff, and sometimes can make hair even greasier! To avoid all of this, simply make sure to read our guide and make sure it’s safe for sensitive skin if that’s the kind you have. How often do you wash your hair now? Most people with oily hair report washing their hair on a daily basis. This is often because their hair gets greasy so quickly, as well as the fact that many hair products cause build-up/residue and can leave hair looking that way. If you have a really busy lifestyle, you’ll probably appreciate that many of these shampoos you can use less often than that, and still see amazing results. 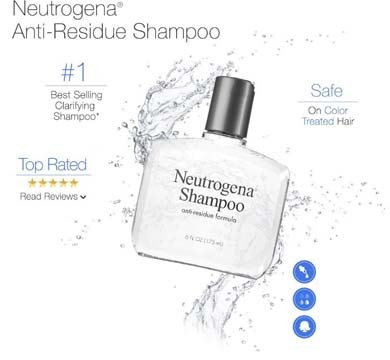 Take the Neutrogena Clarifying Shampoo, for example. You only need to use it once a week, and your hair will honestly look rejuvenated, healthy, and voluminous after the first wash.
That’s not only going to save you time, but it’s also going to save you money as you’re not going to be using the product as fast. Now that you’ve taken a look through all of the best shampoos for oily hair, as well as our handy buying guide, you may still be on-the-fence about which product to buy. Let us reiterate how much we genuinely loved the Desert Essence Organics Lemon Tea Tree Shampoo. First of all, when it comes to oily hair, it’s very important not to use a shampoo packed full of chemicals and parabens. Sure this may work for some, but more often than not, it’s just going to strip your hair of all moisture, and sometimes even color. This shampoo is super gentle on the hair and scalp, as it’s made with all-natural ingredients meant to thoroughly clean and soothe. You only need a tiny bit to get a completely clean, making this a great budget product, too. Oh, and did we mention how wonderful the scent was? However, if the Desert Essence isn’t for you, you can rest assured that these are the best shampoos for oily hair on the market today. No matter what to choose, it’s going to work great on you! 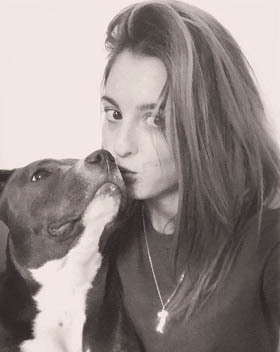 Sophia is a self-proclaimed fragrance expert and digital nomad. You can probably currently find her slurping on a fresh coconut in Sri Lanka or Bali.